SSTC HP2C Products Concept | SSTC ONLINE | Scalable Systems Co., Ltd. Commonly referred to in engineering is the project triangle, Faster, Better and Low cost. You are given the options of Faster, Better at Lower Cost, and told to pick any two. Here Faster refers to the time required to deliver the product, Better is the quality of the final product, and Low Cost refers to the total cost of designing and building the product. This triangle reflects the fact that the three properties of a project are interrelated, and it is not possible to optimise all three – one will always suffer. Based on off-the-shelf technologies, including dual/quad core processor and high-performance interconnect, the cluster system represents HPC platform that rapidly increase performance reducing the power requirement and floor space. With the rapid adoption of cluster system for high-end computing in the enterprise, a high-security and robust cluster platform that is easy to use, manage and operate has become critical. And these cluster systems are required to high performance and high productivity. 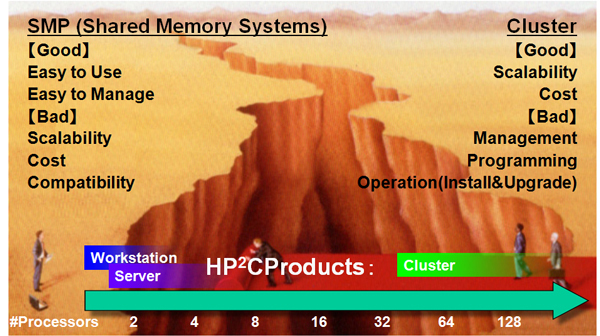 Also there are several challenges to close the gap between SMP (Shared Memory Systems) and Cluster. 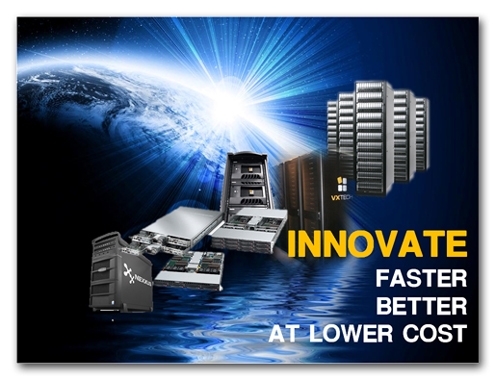 Scalable Systems addresses this requirement with providing own HP2C products. We free our customers from complicated management of systems and let them focus on their original tasks with these HP2C products. Develop regional strategy and business plan with detail action plan, and take leadership for the team to execute effectively based on plan. Works with OEMs resources to develop training and education programs for all field and reseller resources. Works with Product Management to develop strategy for maximizing the use of products in targeted industry, including determination of size and buying power for industry customer sets for strategic account coverage. Plays an active role in obtaining feedback from customers, resellers and relays information to product management to help assess and determine future product requirements and direction. Executes on recommended coverage model including quantity and location of Sales and Applications Engineer resources. Plans and coordinates all product launch activities for primary products across assigned industry/industries.